With 1.2 billion monthly active users, it’s very likely that many of your customers are WhatsApp users. With the WhatsApp Share & Contact app, your customers can easily share what they’ve bought or share a product they were looking at with their friends and relatives. This is exactly what happens when I go shopping and I need an opinion on something I’m thinking of buying. I take a picture of the product I’m looking at, share it with a friend whose opinion I trust and see what she thinks. 5 minutes later, I’m RM50 poorer. And if a customer is close to making a purchase but needs some clarification, they can contact you immediately with this app. That will certainly help boost conversion. 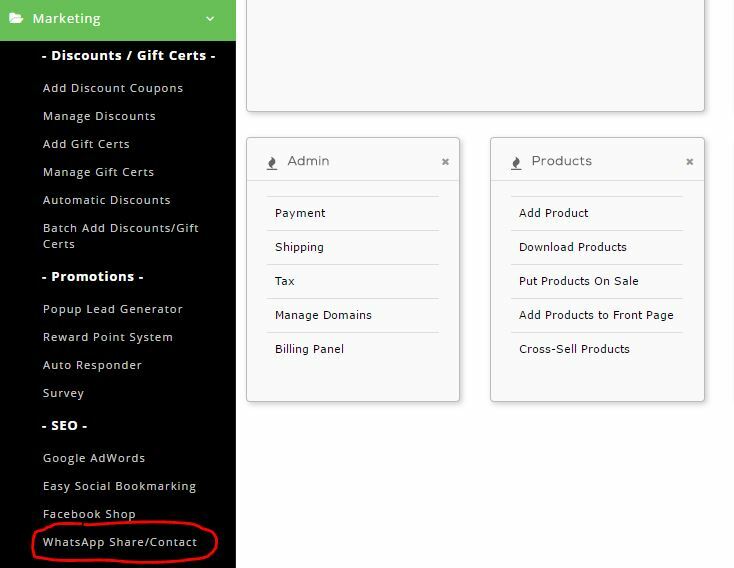 This feature is available for merchants using the V8 admin panel, which is InstanteStore’s latest admin panel version. 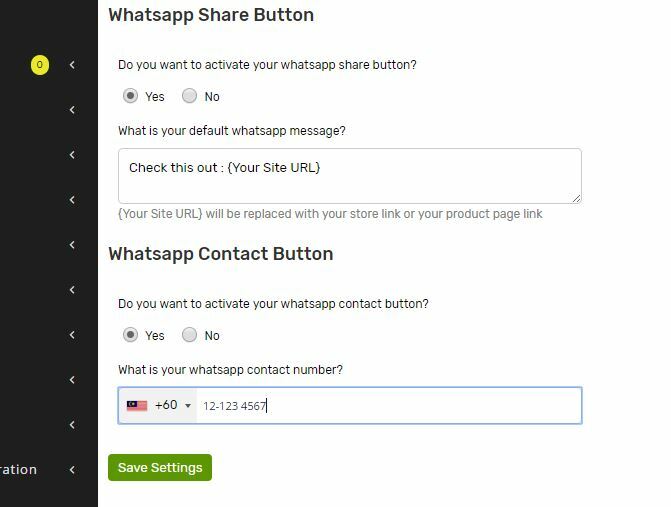 Too configure this feature, login to your store, click the marketing link followed by the WhatsApp Share Contact link. Then, choose if you’d like to activate one or both WhatsApp buttons. For your WhatsApp Share button, you can set your default WhatsApp message. By default, if the button appears on your Main, Category or Info pages, the share button will link to the main page. If the share button appears on a product page, it will link to that particular product page. Once you’re done, click the Save Settings button and Publish your changes and you’re done. The buttons are not stuck on the mobile page. A user can move it around the page so it does not block any links or images. And with just one click, the user can share your store or product page with anyone on the users’ WhatsApp contact list. Of course, the user can also contact you conveniently with this app. 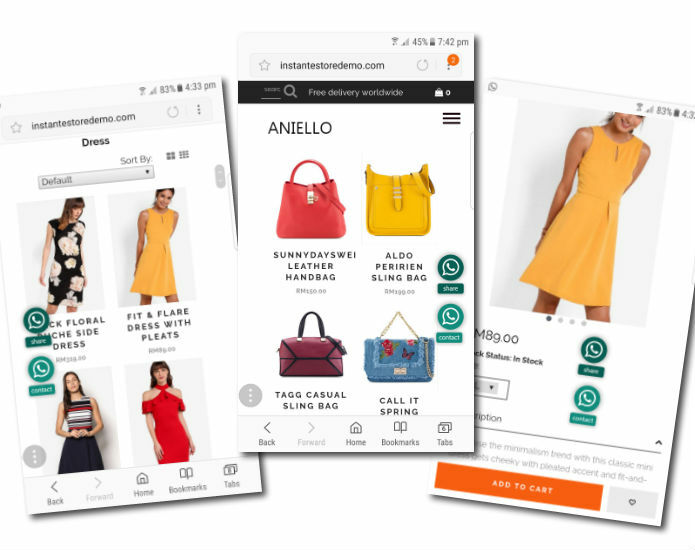 All of this ads to improved user experience for your store which could lead to better sales.